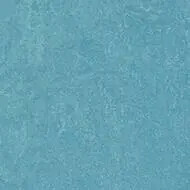 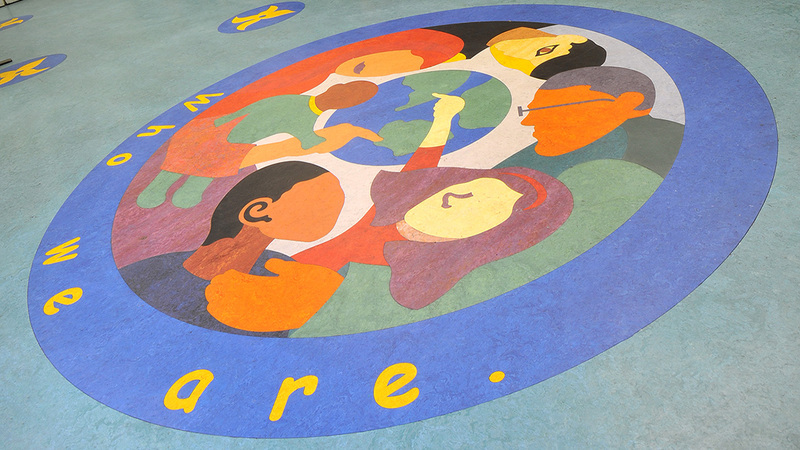 A spectacular flooring design chosen by pupils has been cut from Marmoleum, using Forbo Flooring Systems' unique Aquajet Technology. 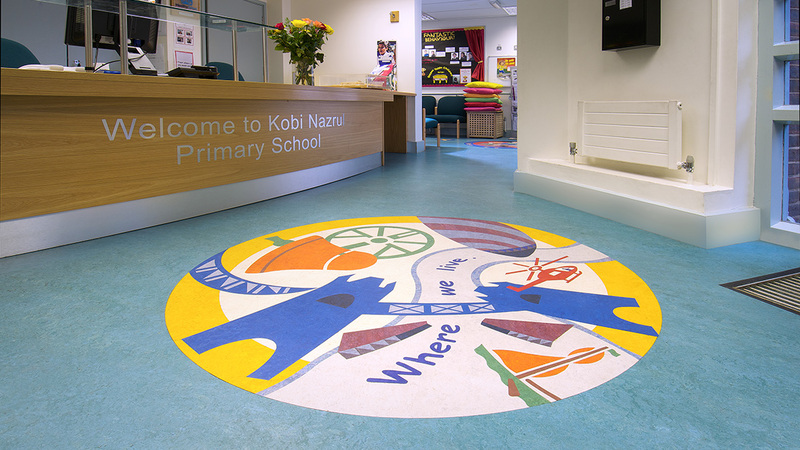 When creating the main reception and welcome area within Kobi Nazrul Primary School its pupils, aged between 3 and 11 years, were encouraged to take part in the refurbishment project along with local designer Sarah Hammond. 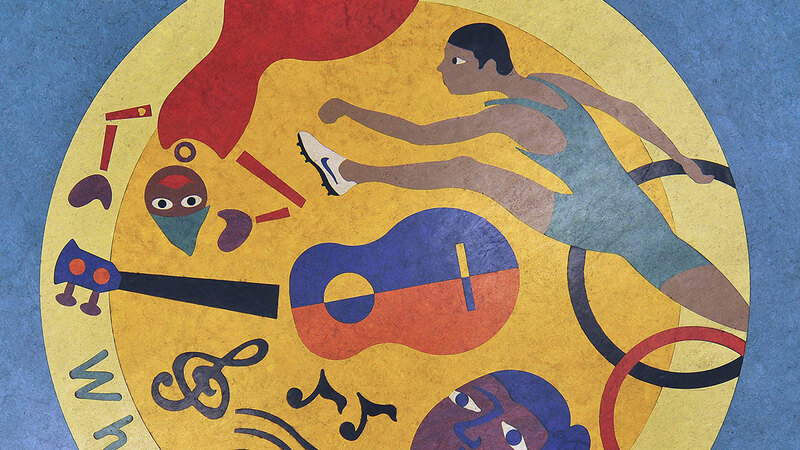 The object of the new flooring was to represent the school's vision of life long learners and endorse its connection with the outside community.